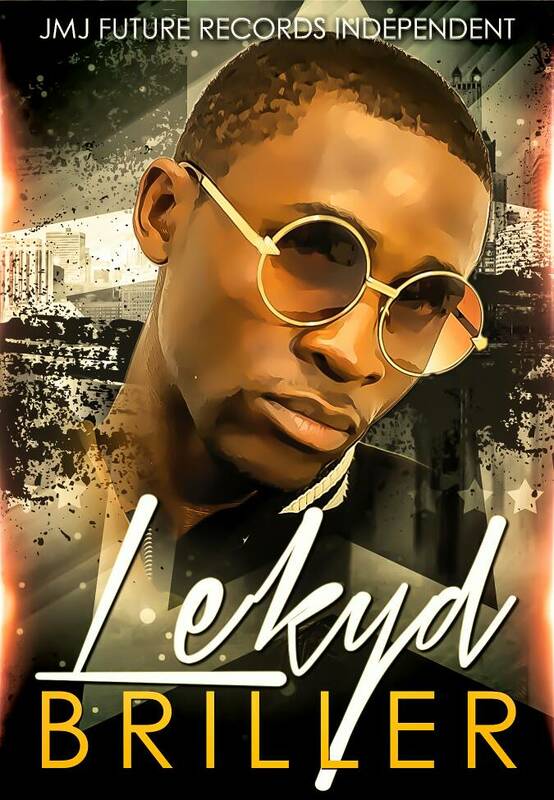 JMJ Future Records presents the brand new single entitled “Briller” by its Artist Lekyd. After Ladies (solo) and Soul (in collaboration with Cokayne OTFT and Van Blaze), Lekyd returns “Briller“, a title very evocative of the quality of the music that carries the music lovers, the vocal power of the artist which is one of the capital gains that captivates and carries the listeners in an ocean of positive vibrations and finally the theme approached which is the exhortation to always “apply without cheating”, “cross the limits”, “always dream to shine”. There is nothing to say about the ease with which Lekyd sings in English as in French, Lekyd is an accomplished Artist. 4 minutes 6 seconds was enough for Lekyd to accurately describe the complexity of life and the perpetual quest for excellence that animates every man who wants to shine. It is on a pop instrumental brilliantly concocted by Cokayne OTFT that Lekyd made this tube announcing the coming of his next EP entitled “The Reason” which will soon be released under the label JMJ Future Records Independent.